It seems that every time I make any kind of purchase from an online retailer I’m soon bombarded with demands requests from various associated websites to provide my feedback / ratings / opinions / reviews. Don’t get me wrong, I’m all for user-generated content and I often consult sites like TripAdvisor and Amazon for product reviews. What I object to is being hounded for my feedback. How about if I don’t review the product after 4 days then you get the message that I’m not interested and leave me the hell alone? I thought I’d take a look at the Boots small print anyway. That sounds fair enough, but to be thorough we really should take a look at the full Terms & Conditions (like everyone does of course!). There is the expected legalise around content ownership and intellectual property rights (i.e. I am the author and I voluntarily waive all rights to my content), some sensible clauses about my not submitting false or defamatory comments, but then it takes a darker twist. You agree to indemnify and hold Boots UK Limited (and its officers, directors, agents, subsidiaries, joint ventures, employees and third-party service providers, including but not limited to Bazaarvoice, Inc.), harmless from all claims, demands, and damages (actual and consequential) of every kind and nature, known and unknown including reasonable attorneys’ fees, arising out of a breach of your representations and warranties set forth above, or your violation of any law or the rights of a third party. Really? In this highly litigious world we live in I don’t know who I might be offending by what I’ve written about a product. I’m not prepared to bankrupt myself defending Boots against someone who doesn’t like what I’ve said. Should I purchase legal indemnity insurance before posting a review? For any content that you submit, you grant Boots UK Limited a, perpetual, irrevocable, royalty-free, transferable right and license to use, copy, modify, delete in its entirety, adapt, publish, translate, create derivative works from and/or sell and/or distribute such content and/or incorporate such content into any form, medium or technology throughout the world without compensation to you. I accept that if I agree to submit some words then they can use what I’ve written, but what’s this about modifying, adapting and creating derivative works? What if I’ve honestly had a bad experience with a particular product and want to share that with the readers? Does that mean they can change what I’ve written and still attribute it to me? That sounds a bit scary. As I read on I discover that my hypothetical bad review would not be published anyway. Their terms state “The following is not acceptable on this site: Disparaging reference to a healthcare product, company, institution or medical profession”. Since Boots is predominantly a healthcare retailer, it is highly likely that any review I care to leave will be about a healthcare product, but I guess they only want positive feedback. Thank you Boots for the offer, but I’ll pass on sharing my opinions. 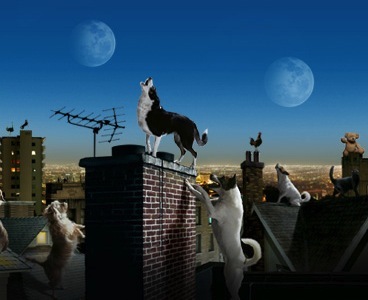 Notice any similarities between these two adverts? The top one is a 2008 brand campaign for O2, the one below it is the new Lotto advert for National Lottery. Now who is in charge of marketing at National Lottery operator Camelot? That would be Sally Cowdry, O2’s ex-Marketing Director! I was having a discussion with an old friend who declared that there has been no innovation in mobile devices for years now. I immediately took exception to this claim and set my mind to disproving his assertion. 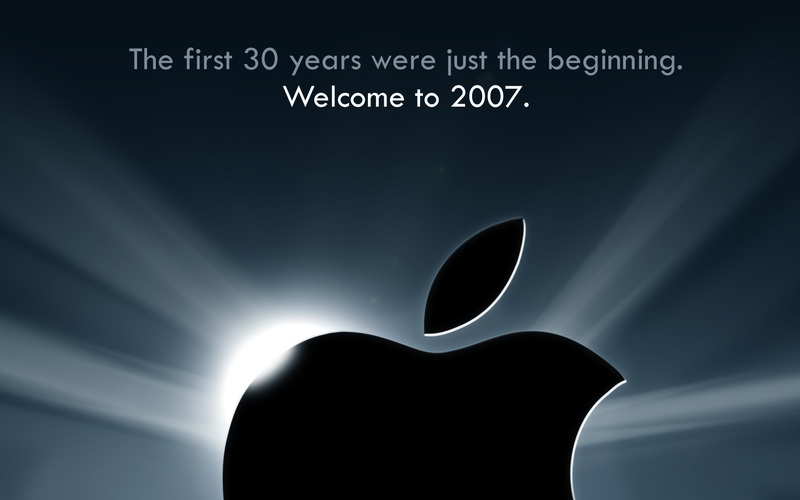 There is no disputing that Apple “reinvented the phone” in 2007 when they launched the original iPhone to an expectant world. I’ll never forget the looks of joy and amazement when I first demonstrated the iPhone’s touch screen interface and clever pinch and zoom gestures. 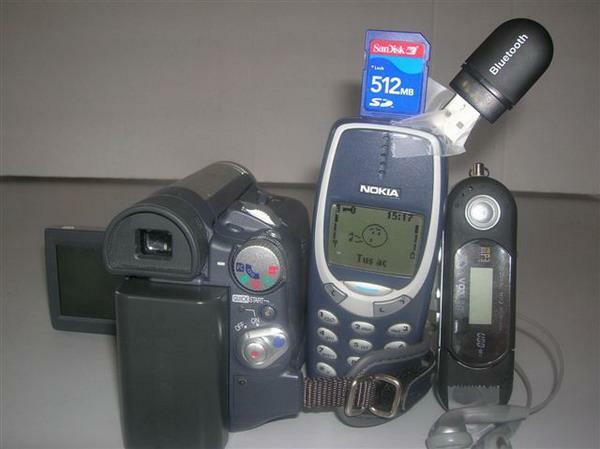 Let’s not forget how tired and utilitarian other ‘smart’ phones of the time were! Apple’s early dominance in the smartphone market has been successfully challenged by Google’s Android operating system and the countless slab clones churned out by Far Eastern manufacturers, but do any of them truly innovate? 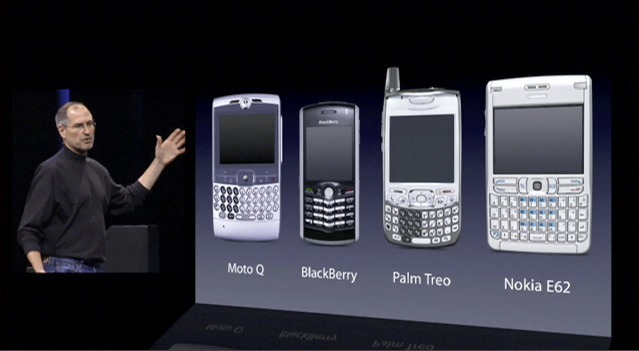 What have we seen in mobile phone design in the last six years which could be considered innovative? We’ve had different form factors, sizes, colours and storage capacities, but the fundamental iPhone design concept has hardly changed. Certainly display technology has improved, with more vibrant colours and pixel densities higher than the human eye can distinguish, but that’s evolution not innovation. Processor power has increased, the latest smartphones boasting quad-core CPUs with dazzling performance, but this is standard Moore’s Law territory. Camera technology has gradually improved, with manufacturers attempting to out-gun each other in the megapixel arms race. Fundamentally though it’s still a digital camera on a phone. Mobile apps are the emperor’s new clothes, but this is just a trendy new name for what we used to call ‘computer programs’ or software. A few new features have appeared like voice recognition, Near Field Communication (NFC) and wireless inductive charging, but these technologies have been around for years and are just being retro-fitted to mobile devices. 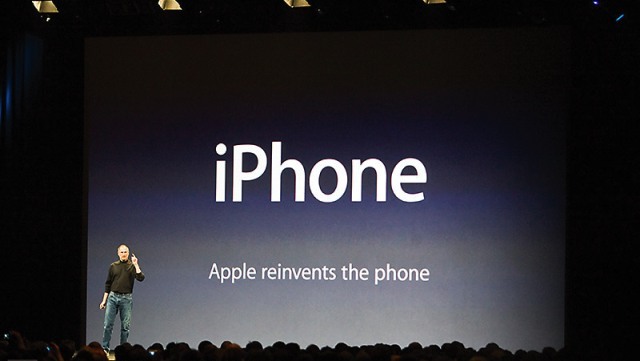 The sad truth though is that there hasn’t been any innovation since the original iPhone. Yes there have been gimmicks and incremental improvements, but the iPhone’s simple touch screen design and user interface has remained largely unchanged and unbettered. Unless Apple regains the ability to surprise and delight with the unveiling of their 7th generation iPhone later on today, I’ll have to concede that my friend is right. Please don’t leave us in 2007. It’s a common complaint (or misconception?) that Android devices are power hungry, and some people claim not to manage a full working day from their smartphone. By my reckoning default system settings and apps are often configured to showcase capabilities, rather than optimise usage and resources for individual needs. With a few minor tweaks you can reduce overall power consumption and in some cases gain hours extra battery life. First of all I hope it goes without saying that you should switch off connectivity features that you’re not actively using. You wouldn’t leave a light on at home all day, and in the same way being conscientious about managing Wi-Fi and Bluetooth connections can make a big difference to the power consumption of your device. I don’t generally use Wi-Fi when I’m away from home, so I use an event driven task manager (Locale) to automatically switch Wi-Fi off for me when I leave my home geo-fence. If like me you travel on public transport then your device will frequently leave cellular network coverage. When this happens it will scan frequency ranges for available operators and consume significant battery resources in doing so. Below are some tricks that help to minimise this. You will be presented with a ‘Testing’ screen. Tap on ‘Phone information’, scroll down to ‘Set preferred network type:’ and select WCDMA only. This network settings change will remain until you next power-cycle your device. Sound and display settings can also make an appreciable difference if you spend a lot of time tapping away on your device. Since haptic feedback uses a tiny vibration motor, switching it off altogether can save precious battery power. Using a static image for your background instead of a fancy ‘live’ wallpaper also saves CPU cycles. Finally review your widgets and remove those that you don’t need. Often replacing a widget with a shortcut to the app is just as effective and much more power efficient. By using all these optimised settings I easily manage 24 hours from my device, with no compromise in functionality of performance. Having switched from Amazon MP3 to Google Play Music, the most annoying omission in Google’s offering is the inability to save music tracks to SD card instead of internal storage. Since version 5.1 of Play Music the capability is actually there, although the feature has not yet been exposed via the user interface. Here’s a neat trick you can use to switch it on manually. First you’ll need to make sure you have the latest version of Google Play Music, then download and install the free Apex Launcher app from Google Play. After Apex Launcher has been installed, fire it up and you’ll see a new and hopefully fairly empty home screen (don’t worry, your existing home screen has not been lost!). Tap and hold on the home screen, select Shortcuts and then Activities. Scroll down until you come to Google Play Music, then tap on it to expand to a list of activities. Scroll down until you come to .ui.SDCardSelectorActivity, tap on it and you should find a new Google Play icon appear on the Apex home screen. Tap on this new Google Play icon and you’ll be presented with a ‘Download Storage Location’ dialogue box. Simply tap on ‘SD card’ and you’re done! You can now uninstall Apex Launcher if you wish. Although the switch has been made, it only applies to music that you ‘Keep on device’ from now on, so you’ll need to unpin and pin all your previously downloaded albums again to move them to SD card. I’m guessing Google will expose this new capability in a future update, but for the time being this is a very welcome workaround. In case you’re interested, the saved files are stored on your SD card in the Android/data/com.google.android.music/files/music folder. It’s intriguing how news stories can bubble under the surface for a while and then explode into the public eye, with significant consequences for everyone involved. 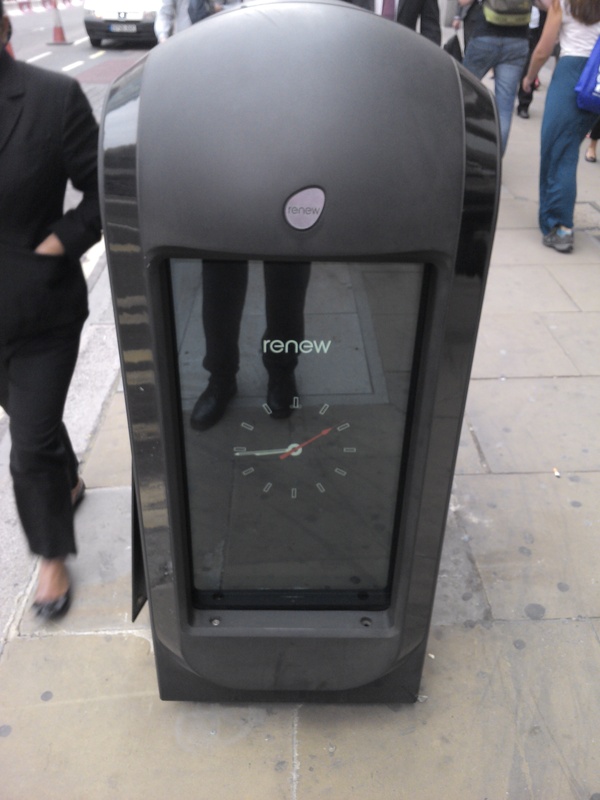 Today’s example is the case of the Renew London waste recycling bins, which have been appearing on City of London streets since January 2012. As well as being a regular waste bin they are equipped with a large screen on each side for displaying digital advertising. Up until recently that’s all we thought they did, until an article in Quartz magazine brought a darker side to the public attention. 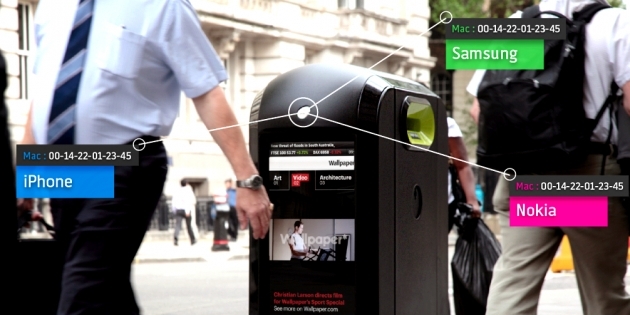 Up to a dozen of these smart bins have been secretly scanning for passing mobile devices and storing this data to compile a database of the movement of individuals around the City of London. All of this was done without consent, although the trial details have been published on the Renew London web site. How do they do this you might be wondering? Every device capable of using Wi-Fi has a permanent hardware (MAC) address which uniquely identifies the device and often even the make and model. If your mobile device has Wi-Fi enabled then your unique MAC address is broadcast periodically when your device scans for access points. The Renew London smart bins can listen out for these signals and record the MAC addresses that it ‘sees’. According to the published trial data they captured nearly a million devices on just one day in June! They would probably still been doing this if it wasn’t for the sensationalist claims from the Renew London CEO Kaveh Memari, who went a little too far in explaining just what his technology is capable of. Memari said he was working on a proposal for a bar that would install five tracking devices: one by the entrance, one on the roof, one near the cash register, and one in each of the bathrooms. That would allow the bar to know each person’s gender (from the bathroom trackers), how long they stay (“dwell time” is the official metric), and what they were there for (a drink outside or a meal inside). And targeted advertising for the pub could follow those people around London on Renew’s omniscient recycling bins. It would seem that the City of London Corporation was not aware of exactly what Renew London had been up to and the adverse publicity has caused them to swiftly deal with the situation. THE collection of data from phones and devices carried by people passing sophisticated waste bins in Square Mile streets should stop immediately, says the elected City of London Corporation, which provides local authority services to the global business district around St Paul’s. The bombproof waste and recycling bins, which also carry TV screens with public information, were installed as a way of re-introducing waste bins to City streets. ‘This latest development was precipitate and clearly needs much more thought – in the meantime data collection – even if it is anonymised – needs to stop,’ added the spokesman. During our initial trials, which we are no longer conducting, a limited number of pods had been testing and collecting annonymised and aggregated MAC addresses from the street and sending one report every three minutes concerning total footfall data from the sites. A lot of what had been extrapolated is capabilities that could be developed and none of which are workable right now. For now, we no longer continue to count devices and are able to distinguish uniques versus repeats. However, the process is very much like a website, you can tell how many hits you have had and how many repeat visitors, but we cannot tell who, or anything personal about any of the visitors on the website. So we couldn’t tell, for example, whether we had seen devices or not as we never gathered any personal details. Future developments will, however, not just depend on technology, but also, most importantly, on people being comfortable with interactive technology – much as has happened over the course of the weekend on the internet. What can you do to protect yourself from this gross invasion of privacy? Disable Wi-Fi (and Bluetooth) if you aren’t actively using it when you’re out and about. Doing this will help save your battery too. You can also register your MAC address and opt-out of data collection via the Presence Orb web site. It’s interesting to note that since this story broke the Renew London bin screens have been conspicuously devoid of any advertising. Evidently advertisers don’t want to be associated with this trial either. London’s ‘smart’ bins have been unceremoniously decommissioned, as you’ll see in this photo. The RenewLondon.com domain name was sold in June 2014 and it now resolves to an accounting blog. The former Renew London business seems to have disappeared without a trace, disproving the theory that where there’s muck there’s brass!